early this year, to tame my spiralling expenses i made a mental note to cut back on my book purchases. for the first 10 months, rather to my surprises, i actually managed to make good on this promise — well, except for one occasion when i gave in to buy Collected Stories by Gabriel Garcia Marquez. 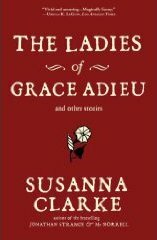 then a few minutes later, i inexplicably reached for this Jane Austen fanlit title (These Three Remain) and handed it to the cashier before i could change my mind. i really have no excuse for it, except that i was feeling nostalgic i guess. like every Jane Austen fan, i’ve always wondered what happened to elizabeth bennett and mr darcy before, during and after the events that transpired in Pride & Prejudice. i suppose, if nothing else, buying that book ought to warn me not to raise my expectations too high, and to steer away from fanlit pulp. 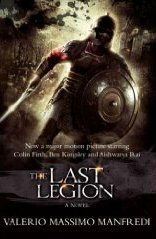 then, a couple of weeks ago, i succumbed to temptation again and bought a copy of Valerio Manfredi‘s The Last Legion. at the moment i’m plowing deep into various resources to learn more about the Roman legions, so i enjoyed the book for its entertainment value. 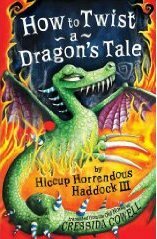 i also managed to dip into Cressida Cowell‘s delightful Hiccup Horrendous Haddock III series. this time i snapped up How to Twist a Dragon’s Tale. as always, i find myself vastly amused and entertained by its sly humor. it’s geared for male juveniles, but if you go beyond the obvious it’s still a whole lot better than most books intended for grown-up readers. the one book that has eluded my grasp so far is Naomi Novik‘s Victory of Eagles (book V of her Temeraire series). i am sooo tempted to buy the hardbound copy, but i think i’ll hold off for a while. at least until 2009.